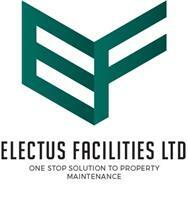 Electus Facilities Ltd - Builder, Cleaning Services based in Rawtenstall, Lancashire. We are a company, located in the heart of Lancashire, with many years of experience delivering soft service solutions and management. We are your contract management partner that seamlessly integrates into your business delivering vital supportive solutions within your organisation. Electus Facilities LTD works with clients across a myriad of business sectors. For example: Retail, Leisure, Health, Transport, Social Housing and the Public Sector. Electus understands the importance of challenging costs for our customers, thus giving exceptional value. We have evolved over many years to provide a wide range of cost saving benefits, whilst catering to niche areas of soft service support. We are committed to delivering quantifiable savings providing value beyond management. Our business is focussed on innovation and technology that drives progress and helps organisations grow and become more streamlined. We help our clients to reduce costs and improve efficiencies by leveraging business technologies, which in turn drives business and operational excellence. This is of benefit to all organisations, irrespective of size. Our commitment to excellence and customer partnership empowers our clients to provide their customers, with the highest possible standard of service. We totally respect your companies challenges by taking the time to listen and research your companies culture, enabling us to design and implement, effective and practical solutions throughout your organisation. This approach is mutually beneficial in order to get results and develop a long term, trusting and sustainable partnership. At Electus we don’t just talk about values, we live by them. Our core values are critical to our business and are respected by all our; Clients, colleagues, stakeholders and delivery partners. Accountability. We believe in being accountable for the work we undertake. Exacting standards are at the heart of our operations, we are committed and believe in never passing the responsibility of duty to others. Reliability. We believe in executing passion for your business outcomes. We encourage open and honest feedback which means that we always act with transparency and integrity, this demonstrates the respect we have in all our relationships and builds a mutually precious commodity, that we call trust. We believe that our people are the key component in delivering quality. We are wholly committed in creating an environment where people choose to work and where respect and support is fundamental in our daily operations. Sustainability. We believe that sustainability is at the core of our corporate strategy and our ambition remains to be recognised as an innovative contracts management partner to all organisations. We are committed to achieving tangible results in your organisation on time, every time, in niche soft service management and delivery, giving you the perfect solution. Our Service is driven by the belief in the value of devotion to service. We provide an immediate, 24 hour call out facility, 7 days a week, 52 weeks a year. This approach creates a productive sustainable partnership, which builds a healthy attitude and spirit for all, delivering the best possible results for your business. Electus Facilities Ltd is a family run business that has grown very quickly to cover a host of services from cleaning to property maintenance and small building works over the last few years. We aim to provide a quality service by utilising our best qualified multi-skilled and also specialist team members, with years of experience at a reasonable price. We cover areas in the domestic and the commercial industry, from window cleaning to ducting in factories. Please have a look at the different categories we offer services in below, we pride ourselves in being efficient and cost effective. Window cleaning, Facias & Soffits, Guttering, Render Cleaning, Cladding clean, Jet washing, Domestic house cleaning, Kitchen deep clean, Carpet cleaning, Degreasing, Ducting, Signs, Post tenancy cleans, Builders cleans, Chewing gum and graffiti removal, Small building works like conservatories, house extensions, flagging and landscaping, security fence and gates to mention a few.